Building green is no longer just an environmentally responsible approach. It is now a cost-effective approach too. This is a critical point in the green building movement that will likely lead to more rapid growth than we’ve seen. How much does it cost to build a green home? Zero energy ready homes cost more to build/buy, but far less to operate. Here’s a look at the trade-off. The bottom line for long-term housing costs is that lower energy costs for a green home allow homeowners to recoup the higher purchase price in four to eight years. — That’s a very short payback time. From that point forward, homeowners get the best of both – a green home and lower total expenses for mortgage and operating the home. And if they do put their home on the market, it will likely sell in a shorter time and at a higher price. Here are common fees and what they cover. If you’re working with a building contractor on a lot that is part of a neighborhood development, these costs might be included in the sale price of the lot or home. Site plan: $100+ | A site plan is a scale, computer drawing of the lot you intend to build upon. It shows existing natural features plus placement of applicable features such as the house, driveway, walkways, deck or patio, outbuildings, well and septic. Permits & fees: $3,000-$4,000 | A building permit is required from the local building/development office. It will include fees for a range of inspections covering excavation and the foundation, framing and finishing, plumbing, electrical and mechanical. Architectural and Site Engineering: Up to $5,000 | If you’re working with a builder from a plan that’s already been developed, your costs here will be low. Custom homes with unique architectural designs, cost more. Most green building proponents recommend/build homes with simple, fairly square/cubical designs, so fees are near the low end of the range. With these preliminary steps in place, permission has been granted to build the home. 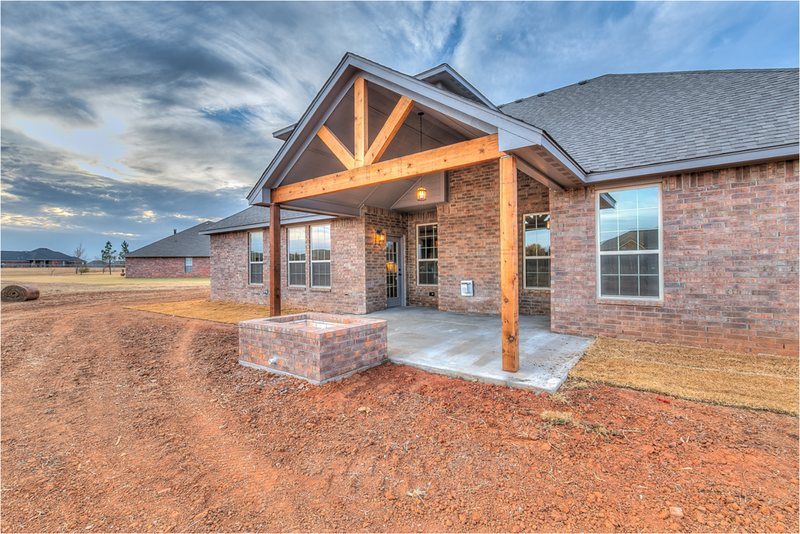 The schedule of inspections is paid for and the home design is complete. 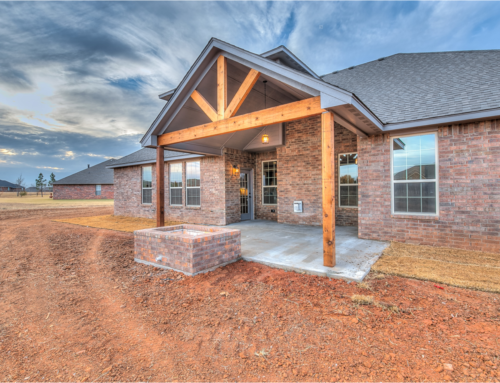 You’re ready to build a zero energy home. Your options here are to dig a well and install a septic, connect to city water and sewer or, in some cases, dig a well and connect to city sewer. Where soils are rich in clay, an engineered (or mound) drain field with a pump might be required. Insulated slab foundation: $11.50-$13.50 | This step involves removing the top soil and enough additional soil to install drain tile, drains, pea stone, an inch or more of foam insulation, moisture barrier, steel mesh to reinforce the concrete and a 4-inch concrete slab foundation. Framing and insulation costs: $17.00-$28.00 | At minimum, 2×6 walls are used in green homes. Many employ walls up to 12” thick to support insulation to R32. Ceiling framing should include space for a minimum of R40 in warm climates and up to R60 in cold climates. Finished exterior costs: $12.00-$20.00 | These costs include energy-efficient siding and roofing materials, triple-pane windows, insulated doors and an insulated garage door. Costs might be higher if you build out the roof to overhang a porch or windows to prevent summer sun from penetrating south-facing windows. The use of full brick or genuine stone can also drive up costs beyond this range. The materials have excellent thermal mass and might reduce energy use in your home. However, building walls with proper insulation levels is a more cost-effective way to reduce heat transfer and energy use. Plumbing costs: $5.00-$7.50 | This includes a system for capturing heat from waste water plus any additional plumbing used for water heating using solar panels. 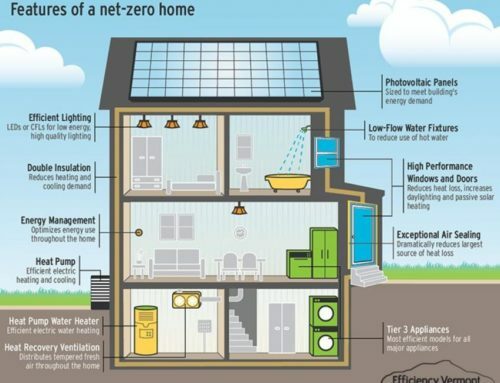 Electrical costs: $5.50-$7.00 | Most zero energy homes are all-electric homes. No fossil fuel systems are used. This increases initial costs for the electrical hookup, wiring, electrical panels and accessories. However, when you’re producing enough power for all your electrical needs, at least on a zero-net annual basis, you’ll be saving money within a few years through lower use. HVAC and water heating system: $7.50-$11.50 | Since the size of the home influences the size of the systems needed, we’ll price these per square foot. 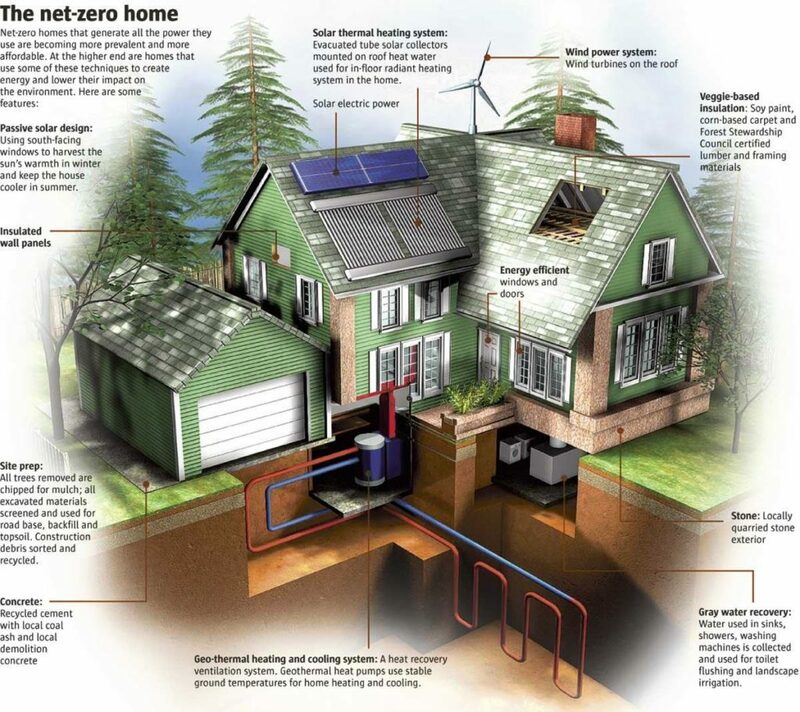 Installing a geothermal heat pump for heating and cooling plus domestic hot water production with an extra storage tank produces higher equipment costs ($14,000-$22,000) than installing an air-source heat pump or mini-split unit and electric water heater ($6,500-$8,500), but your long-term costs will be lower with geothermal. Finished interior costs: $21.00-$32.00 | While “the sky is the limit” as to how much you can spend to finish your home’s interior, this is the range most homes fall into. Costs are for walls, flooring, countertops, cabinets, plumbing fixtures, light fixtures, interior doors and trim. The cost of efficient LED lighting is slightly higher, but the energy savings pay for the lighting in a few years. The light is homier than compact fluorescent lighting (CF) too. PV (Photovoltaic) system cost: $13.00-$20.00 (before tax credits) | These systems start at about $30,000 for a 2,000 square foot home and can range to $40,000 or more depending on the size and number of panels, the electrical components required for installation and use and whether hot water generation is included. The current tax credit of 30% is in place through 2019. It drops to 26% in 2020 and 22% in 2021. At the current rate, system cost is lowered to $21,000 to $28,000. Many utilities also give energy rebates for the use of solar panels. See DsireUSA.org for details. Low End: $193,700 | $75.5 per square foot + $12,500 in one-time costs like well/water and sewer/septic. The average home built in 2015-2017 was about 2,700 square feet. The $19,000 in one-time costs comes to $7 per square foot. Add that to the construction costs of $97/square foot, and we get $104 per square foot. How does $104 per square foot compare with costs for homes built to code? According to data compiled by the National Association of Home Builders (NAHB) from 2015 to 2017, the national average for home construction costs was about $99 per square foot. In other words, zero energy homes cost about 5% more than homes built to minimum code. This figure matches the 5% reported by experts in the green building industry and mentioned earlier in this post. Note: These costs do not include property. The bottom line is that the environmental and economic reasons to building green are now fully synced. This is a great time to build a zero energy home!